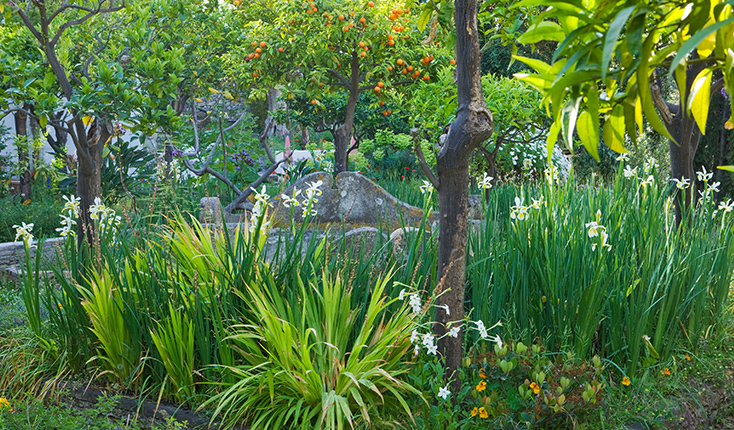 Sicily – the mythic garden of Persephone – is abundant with colour and luminosity. 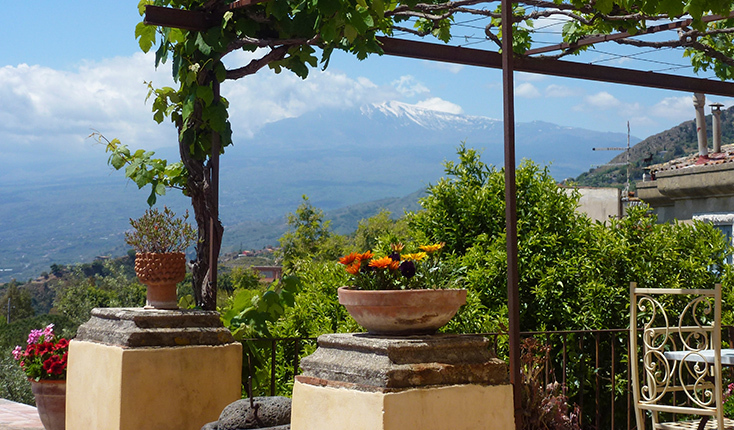 Mount Etna is part of the island’s life, its gift a rich volcanic soil that yields delicious fruit and vegetables, and excellent wine. We visit gardens in the east of the island, some created by the English in former times, others planted more recently, and add some cultural elements to the programme. An island of great contrasts, Sicily was invaded over the centuries by Greeks, Romans, Arabs, Normans and Spaniards, all of whom have influenced its culture and character. More recently, Lord Nelson was rewarded with an estate in the foothills of Etna by the Sicilians for his aid in a maritime campaign. Warm weather after late summer thunderstorms encourages new growth on terraced hillside gardens. The olive trees are heavy with fruit and the orange groves will be ready for the harvest late in the year. The first few days are spent in Ortigia, our base for three days. We stay at the well-situated Grand Hotel in a beautiful historic area overlooking the harbour; the views from the rooftop restaurant are memorable. We then move north to the hills below Mount Etna, to a beautiful boutique hotel with superb views over the bay and towards the volcano. The group will be a maximum of 16 participants. We use a comfortable small coach, and travel is limited to just over one hour on certain days. Morning flight from London Gatwick to Catania on the eastern side of the island. You will be met at the airport for the transfer south to Ortigia, a small island joined to Siracusa, to check in at the Grand Hotel. Afternoon guided visit of the historical centre: the Duomo is quite spectacular. An aperitivo is served on the terrace before dinner together in the hotel restaurant with views over the bay and old town from the rooftop terrace. We visit the estate of San Giuliano at Villasmundo. Surrounded by extensive citrus orchards, the late fifteenth-century fortified farmhouse has a giardinetto divided into four distinct areas. The traditional Arabic irrigation channels, saie, are still in use. 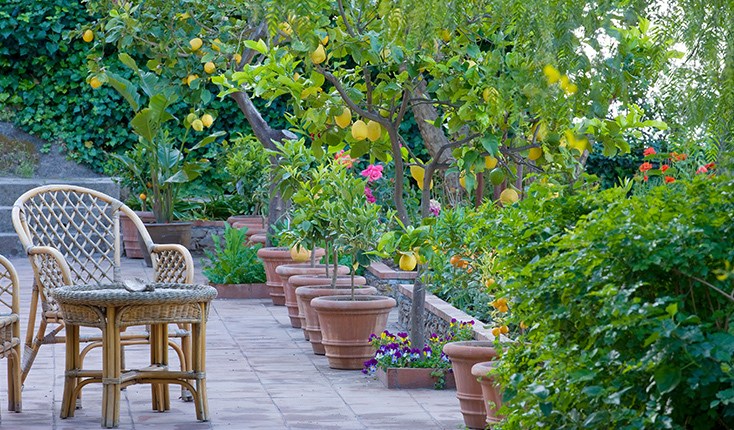 The head gardener, Rachel Lamb, will give us an interesting insight into gardening in Sicily. Aperitivo and lunch in the garden. The evening is free to discover local restaurants. Morning visit with our superb local guide to the Greek amphitheatre, a fascinating archaeological site, followed by exploration of a garden in an old limestone quarry nearby. In Siracusa, excavated ruins in the ancient settlement of Latomia date back to the fifth century BC. We depart inland to visit the gardens of Princess Maria Carla Borghese near Lentini. A collection of succulents is intertwined with roses and jasmines, agaves and palms that give structure, while on the horizon is an avenue of stone pines so evocative of Roman landscapes. We enjoy a buffet lunch in the garden, returning to Ortigia in the afternoon. Dinner in a nearby restaurant. 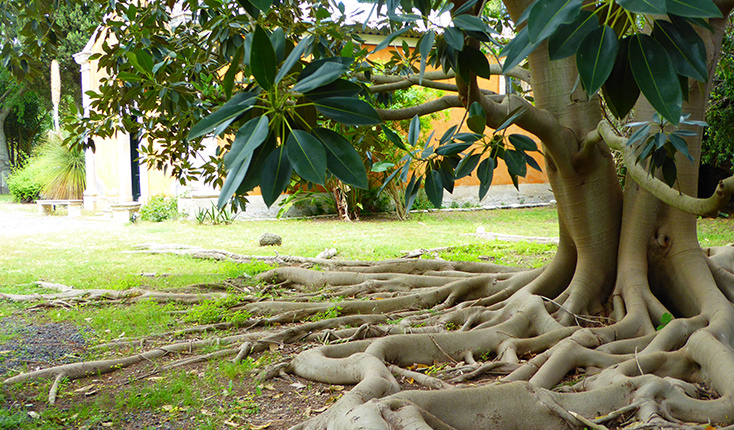 We head north to visit a fascinating personal garden in the hills above Catania. The owner has created it over the years in the rich volcanic soil and has an impressive collection of plants. We are invited for lunch in the garden, where we discuss life in Sicily and hear about our host’s travels and photography. We make our way to the welcoming Hotel Kepos on the foothills of Mount Etna and enjoy dinner together in the hotel restaurant. Casa Cuseni is a private garden above the town walls of Taormina created by Robert Kitson in the early twentieth-century. An artist from Leeds, Kitson discovered Sicily during his travels. 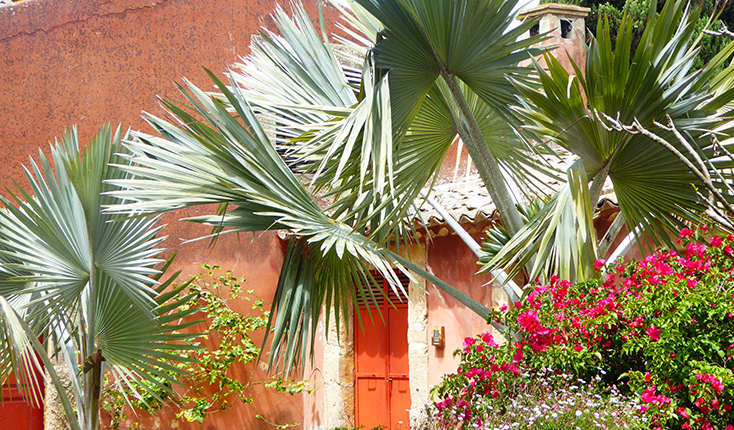 The villa and terraced gardens are designed with a strong Arts & Crafts influence, with exuberant plantings. We view the fascinating, well-preserved interiors created by Sir Frank Branwyn, before enjoying a delicious buffet lunch on the garden terrace. Free time in Taormina. 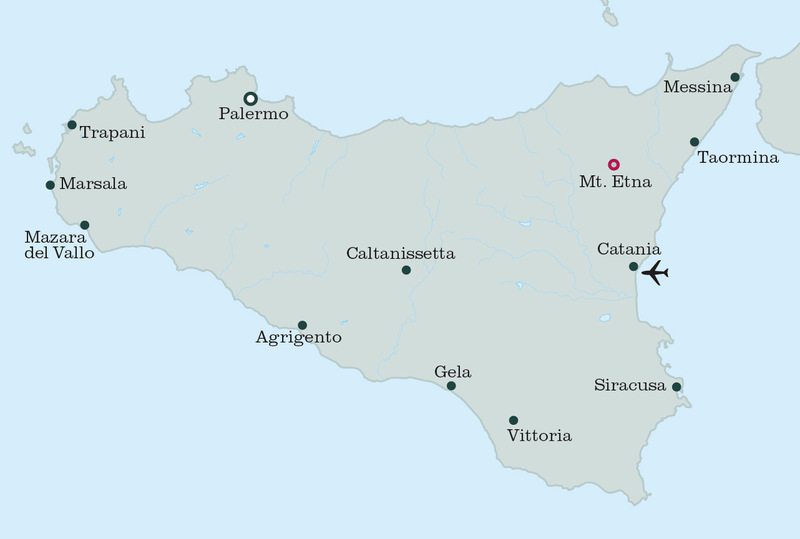 In the early evening we leave for the village of Milo among vineyards on the slopes of Etna, where we enjoy dinner at Villagrande. Catania’s vibrant market in the Baroque centre of town is unforgettable, with its wide choice of fish and mouth-watering local produce. After exploring the lava stone statue of an elephant in the Duomo Square, we return along the coastline to have lunch at Donna Carmela and visit their fascinating nursery, Piante Faro in the afternoon. Dinner in the hotel restaurant. Mount Etna holds a fascination for everyone: We take the southern road up through the lava flows, discovering the indigenous Mount Etna broom (Genista aetnensis) which may still be in flower. We return through the vine-covered hillsides, passing farms and small villages, and enjoy a late lunch on a wine estate. We arrive in Taormina in time for the evening passeggiata and dinner at Ristorante Andreas. Morning departures from Catania airport returning to London Gatwick. Flights, transport in modern, comfortable minibus. Accommodation, delicious meals as indicated. All garden visits and guides. Alcoholic and soft drinks except for welcome aperitivo, items of a personal nature, tips. Comprehensive travel insurance with full cover to be taken out on payment of the deposit. Some steep, terraced gardens. Reasonable amount of walking. Layers are recommended from lightweight summer wear to a fleece on Mount Etna. Good, comfortable shoes/trainers for the garden visits. Smart casual for the evening. Often guests meet for drinks before dinner (optional).